Beef stew is a classic slow cooker dish and here are 35+ amazing recipes for slow cooker beef stew from some of the best food bloggers on the web! 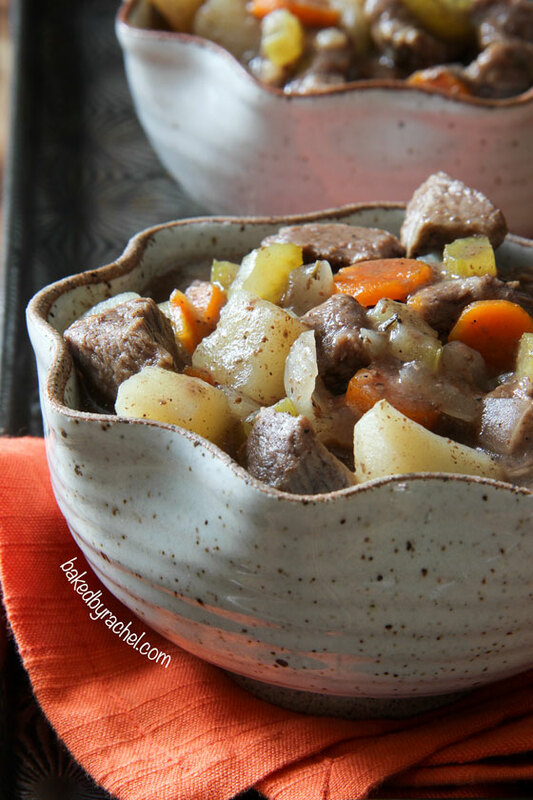 Click here to PIN 35+ AMAZING Recipes for Slow Cooker Beef Stew! Beef becomes fall-apart tender and stays juicy when it’s cooked in the slow cooker with stock and vegetables, which must be one of the reasons why Slow Cooker Beef Stew is such a popular dish. Here are 35+ AMAZING Recipes for Slow Cooker Beef Stew, some with ingredients you might not have thought of. 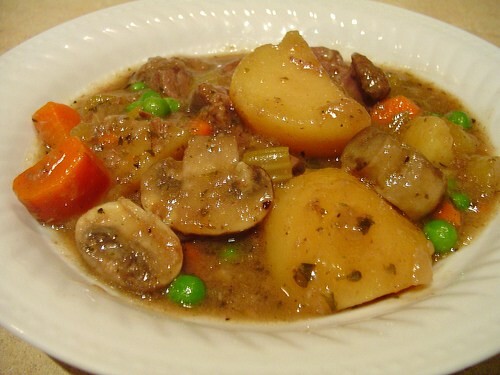 There are beef stew options here for everyone’s tastebuds; hope you enjoy! 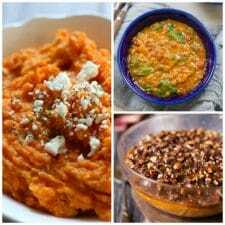 All photos are copyrighted by the blog that originally posted the recipe. 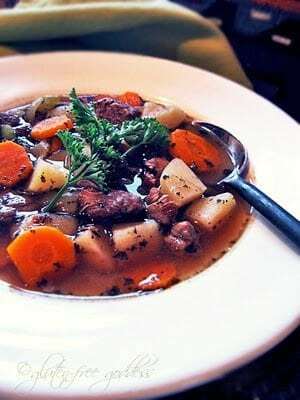 Click any the recipe link to get that beef stew recipe from the original blog. 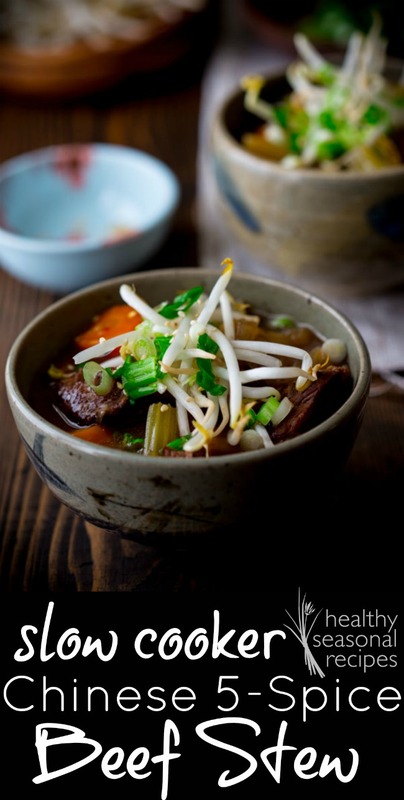 A unique beef stew that sounds amazing is the Slow Cooker Chinese 5-Spice Beef Stew from Healthy Seasonal Recipes. I think the baby pearl onions are a nice bonus in this Slow Cooker Beef Stew with Potatoes, Parsnips, and Rutabaga from The Perfect Pantry. Java Beef Stew with Mushrooms and Baby Reds from Amanda’s Cookin’ uses coffee to build flavor in the stew. 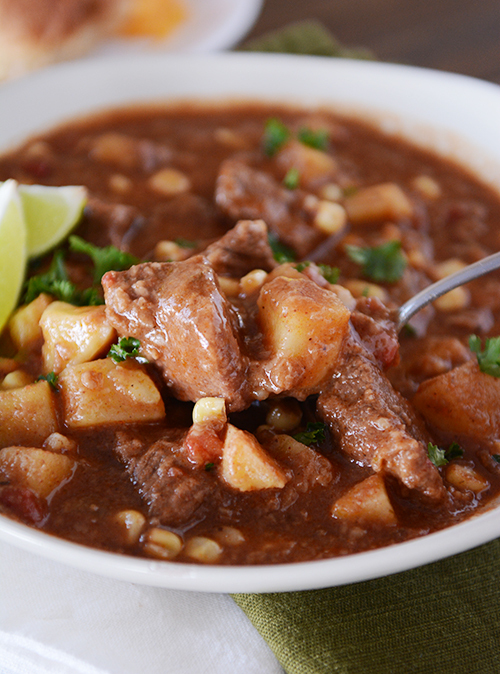 A stew with spicy Latin flavors is the Crock Pot Carne Guisado from Skinnytaste. 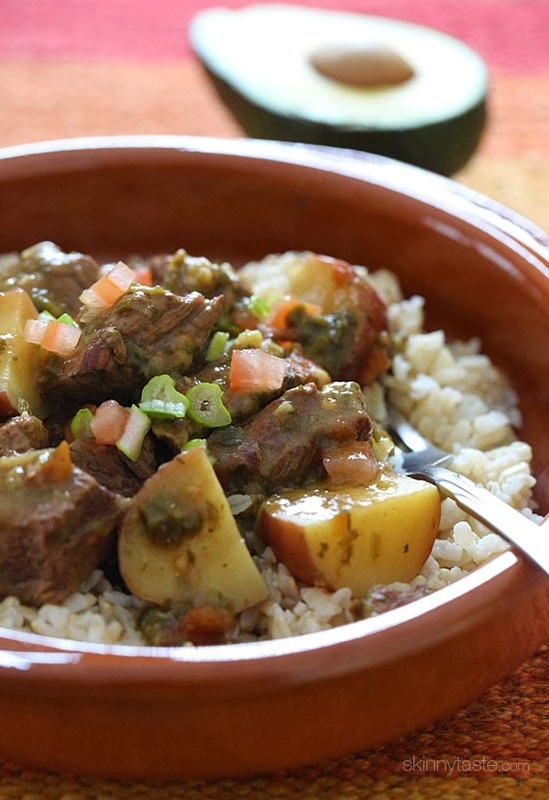 Beef and Green Chile Stew also sounds spicy and good from The Perfect Pantry. 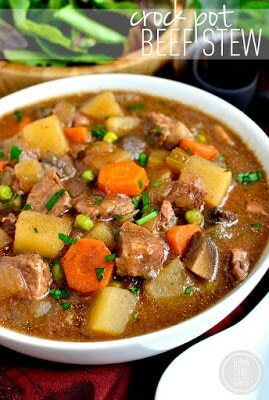 Slow Cooker Guinness Stew from Simply Recipes has Guinness, of course! Slow Cooker Beef, Ale, and Onion Stew from The Perfect Pantry also has a touch of Dijon mustard. Slow Cooker Guiness Beef Stew from The Parsley Thief includes a little touch of bittersweet chocolate. Another beef stew with chocolate is Beef and Potatoes au Chocolate from Gluten-Free Goddess. 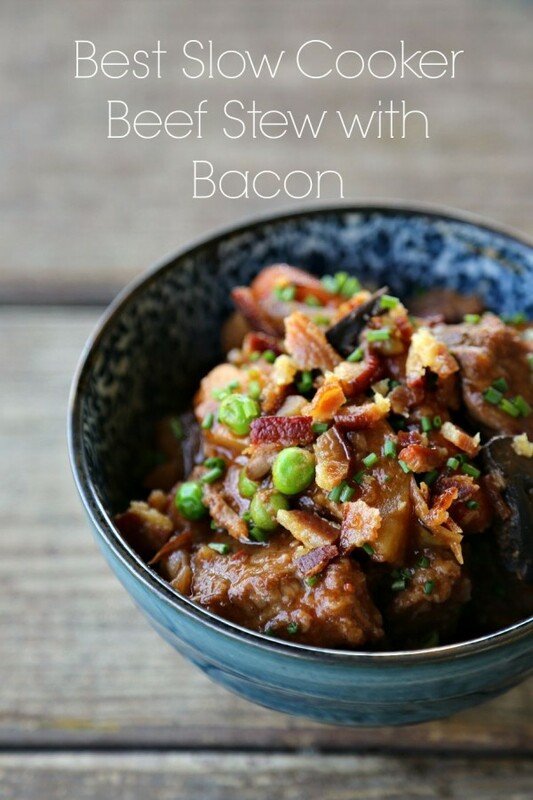 The Best Slow Cooker Beef Stew with Bacon from Foodie with Family is the best because of the bacon! Isn’t that obvious? 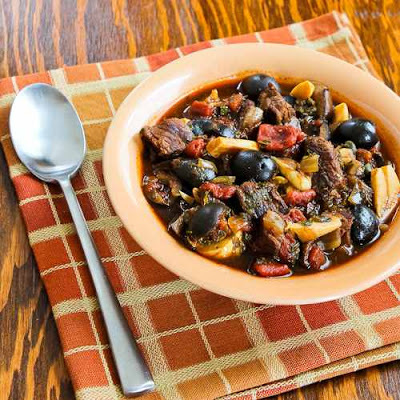 Slow Cooker Beef Stew from Elly Says Opa builds flavor by marinating the beef in red wine and adding mushrooms to the finished stew. Wild Mushroom Beef Stew from Chick in the Kitchen is another tasty-sounding stew with mushrooms. I love the sound of Beef and Stew Potato Stew with Corn and Green Chiles from Mel’s Kitchen Cafe. And Slow Cooked Lebanese Green Beans and Beef from The Lemon Bowl also sounds interesting. My own favorite recipe for slow cooker beef stew just might be this CrockpotBeef Stew with Olives, Garlic, Capers, and Tomatoes from Kalyn’s Kitchen. 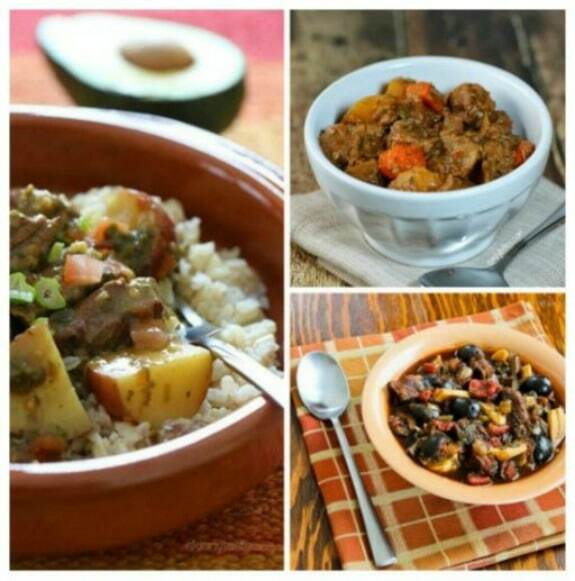 Slow Cooker Cuban Beef Stew from My Colombian Recipes uses green olives for a nice flavor kick. And Slow Cooker Southwestern Beef Stew from Kalyn’s Kitchen has tomatoes, olives, and chiles. 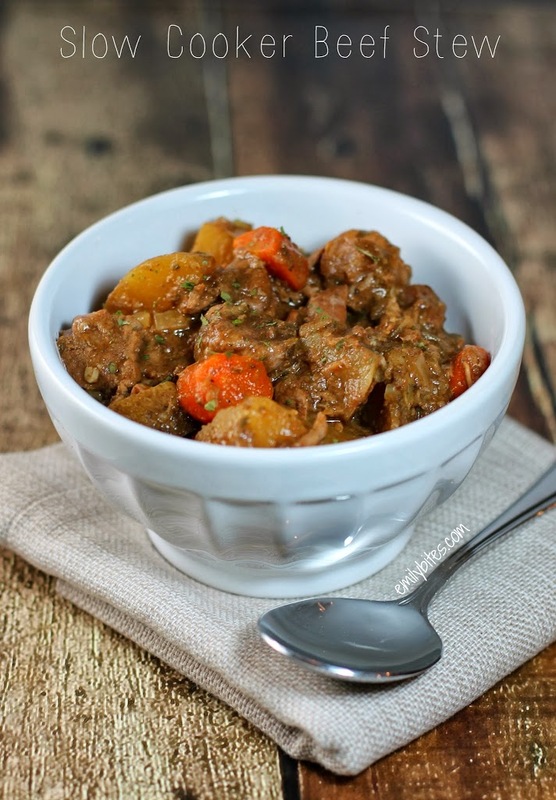 This Slow Cooker Beef Stew from Gluten-Free Goddess has herbs, red wine, and a bit of balsamic vinegar for extra flavor. Slow Cooker Beef Burgandy from 365 Days of Slow Cooking uses Burgandy wine (or beef stock) and is served over mashed potatoes. 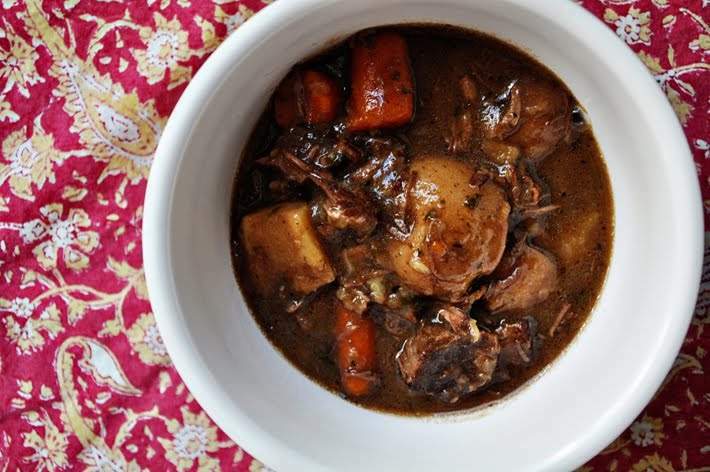 Another beef stew with red wine is the classic Slow Cooked Boeuff Bourguignonfrom The Kitchn. Crock Pot Beef Stew from Iowa Girl Eats is a classic version that looks and sounds delicious. 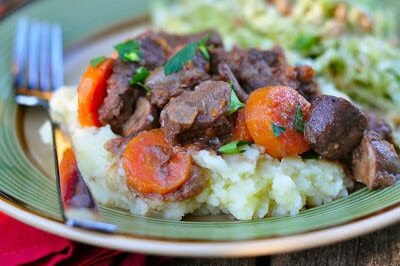 The Best Crockpot Beef Stew from Family Fresh Cooking is another classic beef stew that looks and sounds great. Slow Cooked Beef Stew from Whole Life Nutrition Kitchen calls for grass fed beef and is thickened with arrowroot. I like the touch of paprika in this Slow Cooker Beef Stew from Emily Bites. 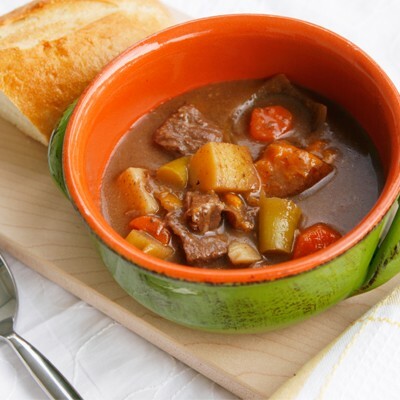 Hearty Beef Stew from Slender Kitchen also has paprika and this stew includes parsnips. 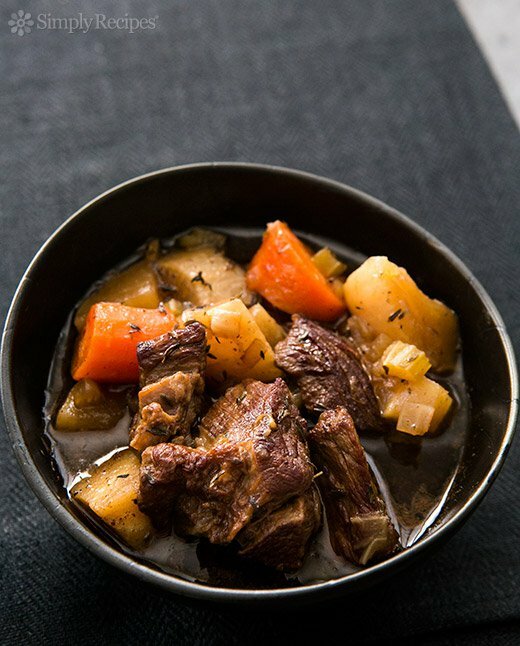 Slow Cooker Beef Stew from Recipe Girl uses a unique method to keep the vegetables from getting over-cooked. Slow Cooker Beef and Veggie Stew from Sarah’s Cucina Bella adds some sliced broccoli stems to add veggie flavor to the stew! And Mel says the Slow Cooker Beef Stew from Mel’s Kitchen Cafe is all about the carrots! 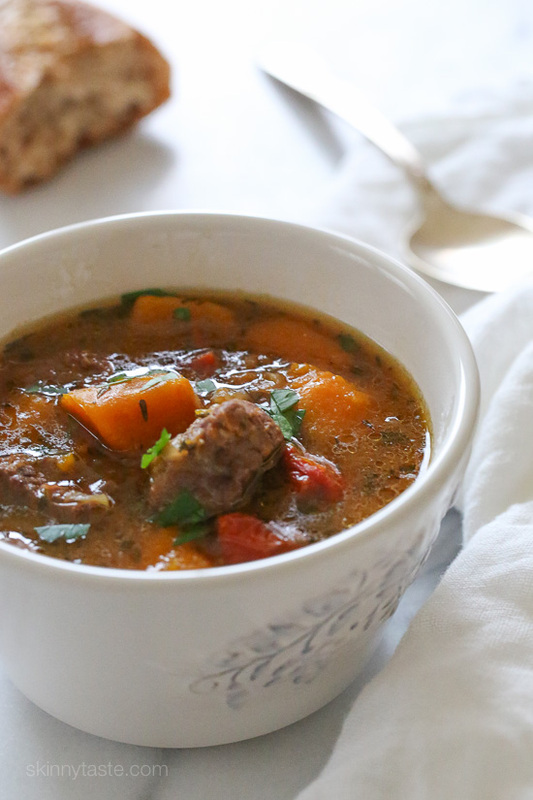 Slow Cooker Beef and Kabocha Squash Stew from Skinnytaste has a little dash of Marsala wine. 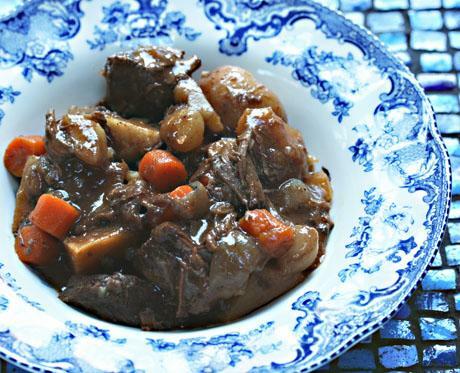 Slow Cooker Marsala Beef Stew from Rachel Cooks also has Marsala wine. 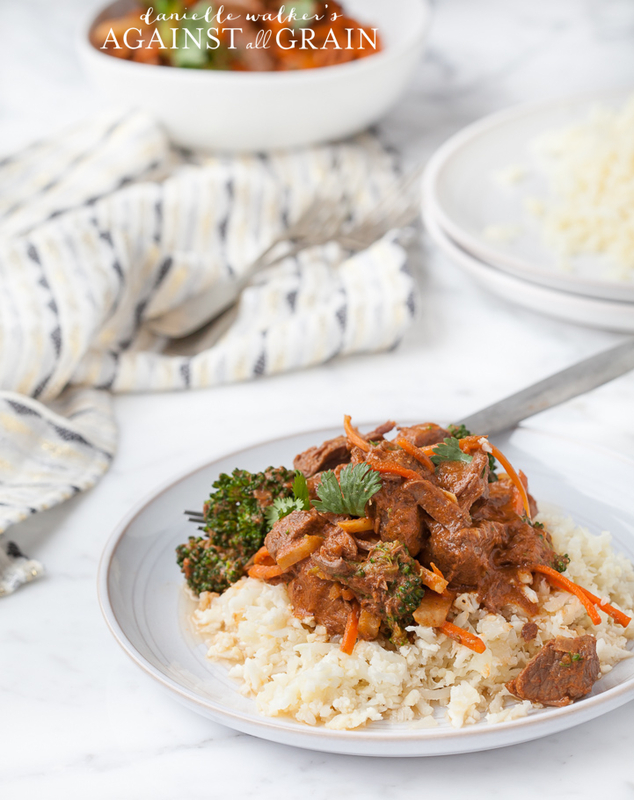 Paleo-approved Crockpot Thai Beef Stew from Against All Grain has coconut milk and Thai spices. 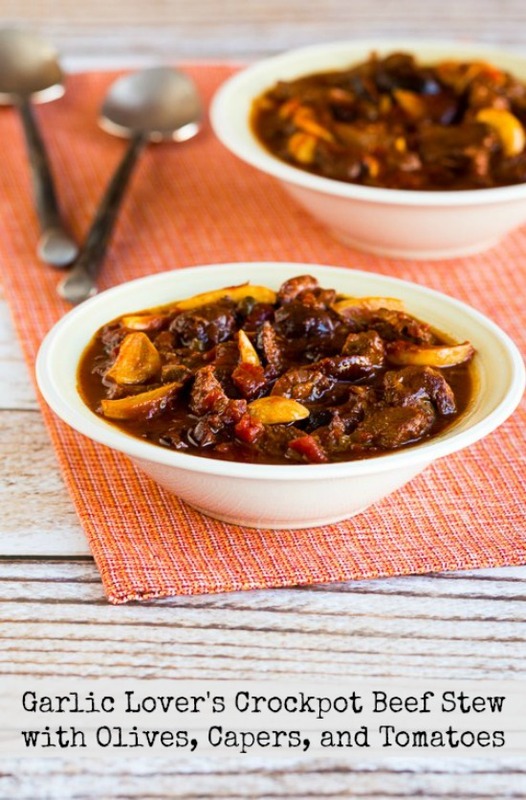 Another stew with Asian flavors is Honey-Sriracha Beef Stew from The Perfect Pantry. Coconut Beef from A Year of Slow Cooking also sounds good for another stew with coconut milk. Another favorite of mine is this Low-Carb Slow Mediterranean Cooker Beef Stew with Rosemary and Balsamic Vinegar. Slow Cooker Beef and Black Bean Stew from Color Me Pink is served on a bed of roasted cauliflower for another low-carb option. For interesting ingredients, how about Slow Cooker Apple Cider Beef Stew from Baked by Rachel. And finally, I’m completely intrigued intrigued by the idea of this Slow Cooker Root Beer Braised Beef Stew from Apron Strings. More Beef in the Slow Cooker? Use the Index Page for Beef to see all the slow cooker recipes using beef that have been featured on this site. thanks for featuring my beef burgundy! Karen, my pleasure. And I love the new look for your blog. 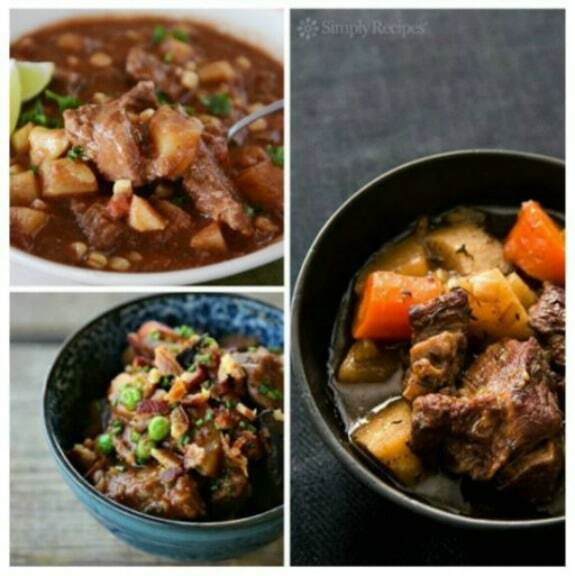 Thanks for sharing some of my beef stew recipes. You can tell that I love cooking beef stew in my slow cooker! Lydia, yes, and I love all your beef stew creations! I've made the Wild Mushroom Beef Stew from Chick in the Kitchen a few times now and it's great. The sauce is nice and thick, and the meat is nice and tender. I love that you don't have to brown the meat. Mandy, sounds like I need to try that one!